In 2014, the DMA secured a 15-year loan for the Keir Collection. It’s one of the country’s largest collections of Islamic art, and this weekend, the museum will host an equally impressive festival in its honor. The DMA will be open until midnight Friday with events throughout the evening and into Saturday. Check out the full event schedule. It’s surprisingly full inside the Keir gallery for a Thursday morning. Elementary school kids are studying works of pottery, metal, and fabric. But what they see on display is only a fraction of a repository that boasts almost 2,000 pieces. 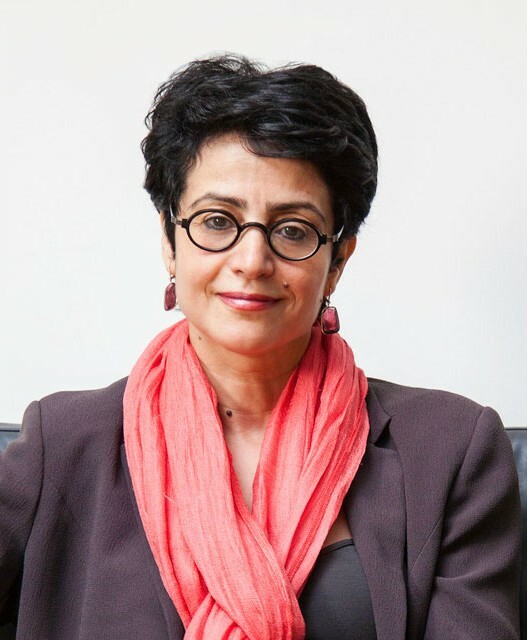 Sabiha Al Khemir, the DMA’s senior advisor of Islamic art, says the Keir collection covers a wide geographical area — from the 7th century to the 19th — and span of time — from Spain to Southeast Asia. Still, the works are unified by certain elements. Designs like arabesques are fundamental, characterized by tendrils that unwind and spread seemingly without end. “The organic growth in a stylized way that can go on forever is a decoration that hints to the presence of the infinite, and the infinite is one of the major aspects of the creator, of the divine,” she says. Al Khemir says there are misconceptions about Islamic art. People think that the artists avoided figurative depictions, but that’s not true. And the art isn’t necessarily religious. Today, ancient artifacts are being destroyed in conflicts across the Middle East. 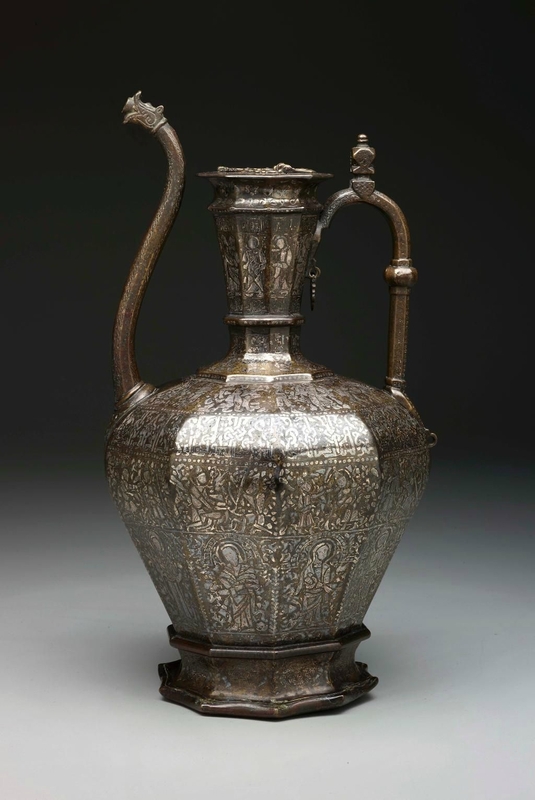 Al Khemir points to the Homberg ewer. It’s an ornate brass pitcher inlaid with silver, engraved with Christian and Muslim scenes. Don’t forget, in the midst of the bustle during this weekend’s festival, to pay a visit to the collection itself. To see these ancient works in near-perfect condition is nothing short of a miracle. Want more insight into Islamic art? Here’s an extended Q&A with Al Khemir. When we say Islamic art, we expect it to be religious art …These are pieces that are part of secular space. They are not pieces used in a religious space. They don’t have a religious function. So, when you say Islamic art, it’s actually art that comes from Islamic culture, and Islamic culture is itself holding many, many cultures … We’re talking about a unity that holds diversity. I would say calligraphy is a connecting thread throughout. Also, when you say Islamic art, we have this image of geometry, of arabesque, of abstract motifs. Basically, decorative motifs that can be spread and extended forever. That gives a sense of the infinite, of the omnipresence of God, but they are not representing religion per se … We’re talking about a visual language that connects a huge geographical area and many centuries … We can still see the connections between all of these styles, something that we almost cannot really define that is very much connected to the spirit of the culture and to a way of thinking and a way of seeing the world. Imagine you’re an artist — a craftsman at the very beginning at the 7th century — and you’re asked to decorate the house of God, the mosque, and make it the most beautiful place. You’re told you’re not supposed to represent icons. You cannot represent God. You cannot represent all these divine aspects. It’s a challenge. You are going to create a space in which there is a sense of worship, of contemplation. A space which speaks for Islamic art, Islamic culture and Islamic religion. The development of geometry, and the arabesque — which is the organic growth in a stylized way that can go on forever — is a decoration that hints to the presence of the infinite, and the infinite is one of the major aspects of the creator, of the divine. Try to remove the lenses which are distorted by some preconceptions that we have. For example, one of the misconceptions is that there is no figural representations in Islamic art. You know how many times I’ve taken people around the gallery, and we stop and look at representations of human and animal figures in ceramic plate, on a page, in a textile, and at the end of the tour, they still ask the same question: why is there no figural representation in Islamic art … That preconceived idea is actually among people who come from Islamic culture, as well as people who come from outside Islamic culture.